Run-Up To Census 2020 Raises Concerns Over Security And Politics : The Two-Way Results from the U.S. Census in 2020 could remake the political map. Some census experts say the stakes for the upcoming national headcount are higher than normal. U.S. Postal Service mail carrier Thomas Russell holds a census form while working his route in 2010. About three years from now, the U.S. government is going to start asking some personal questions. The possible topics of those questions were released on Tuesday as part of the run-up to the 2020 Census, the national head count of every resident in the U.S. required by the Constitution every 10 years. There are no surprises in the topics for 2020 — age, gender, race and ethnicity, relationships to other people in a household, plus whether a home is owned or rented. In theory, Congress could direct the bureau to make changes to that list through legislation before 2020. But Terri Ann Lowenthal, a former staff director of the House oversight subcommittee for the census, says time is running out for any major additions. "Any significant changes to the questions that are asked on the 2020 Census could disrupt the entire process of preparations," she says. "Asking any question that has not been fully vetted with thorough research and testing would call into question the reliability of the data that's collected and could, depending on the questions that are asked, have a chilling effect on participation in the census." In January, Vox and The Washington Post published what they said was a draft executive order. It directs the Census Bureau to "include questions to determine U.S. citizenship and immigration status" in the 2020 Census. NPR asked the White House whether that draft order was under consideration, and White House officials have not responded. The Census Bureau also has not responded to NPR's requests for comment about the draft order. There is a lot riding on the answers the government collects in 2020. The number of residents will determine how many congressional seats and Electoral College votes each state gets, not to mention how hundreds of billions of dollars in government funds will be distributed. "We like to say that the Census is about two simple things: money and power," explains Rosalind Gold, senior director of policy, research and advocacy for the National Association of Latino Elected and Appointed Officials, or NALEO, Educational Fund. Gold is worried there will be an undercount in 2020 among some communities. "Many Latinos will be fearful of responding for fear that the information they provide will be used for immigration enforcement activities," she says. There is also concern about census participation amongst Middle Eastern and North African communities in the U.S., who may have the opportunity to identify as "Middle Eastern or North African" on the 2020 Census if the new category for race and ethnicity is approved in time. In a written statement, Census Bureau spokesperson Michael Cook says federal law restricts what the bureau can do with the data it collects. "It requires the Census Bureau to keep your information confidential and use your responses only to produce statistics. We cannot publicly release your responses in any way that could identify you or your business, organization, or institution," he writes. The 2020 Census is expected to break ground technologically as the first U.S. census to collect responses mainly through the Internet. But it also brings new security issues. "Ten years ago, the possibility of data being hacked or being tampered with, those concerns were not nearly as acute as they are now," Gold says. The Census Bureau is working on new security measures to protect people's personal information. 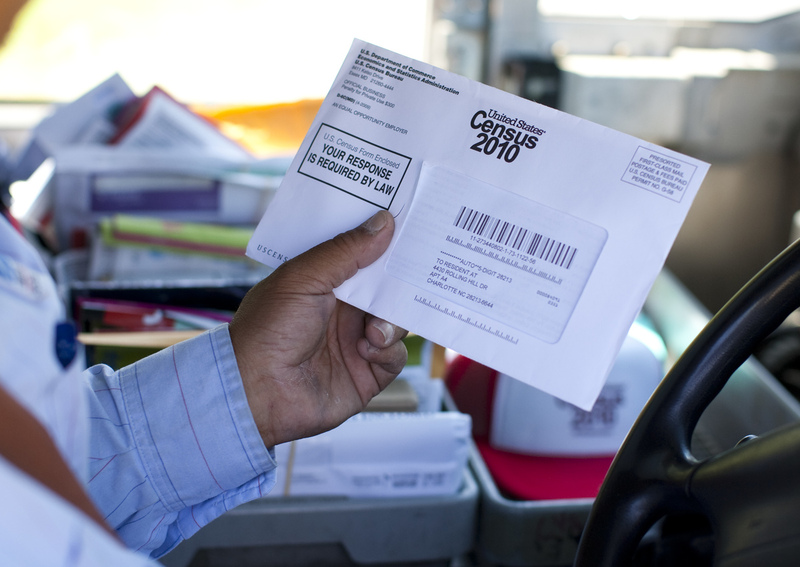 The Government Accountability Office recently added the 2020 Census to its list of "high risk" government programs, citing the logistical and technological challenges of expanding web-based census responses. Still, the Census Bureau is facing its longtime challenge of building up public trust. Kenneth Prewitt, a former director of the Census Bureau who served under the Clinton administration, says he's concerned that the immigration debate could determine the questions asked on the Census. "I think that would set up a huge partisan argument, and the Census would be stuck in the middle of that," says Prewitt, who now teaches at Columbia University's School of International and Public Affairs. Prewitt adds that besides politics, the bureau is also dealing with uncertain funding from Congress. To make ends meet, the bureau may have to scrap more trial tests of its methods, as well as some follow-up visits to people who don't respond immediately to the questionnaires. "That means we will not have a very good Census, and not having a good Census means that we have an undercount," he says. "And the undercount will vary by region and by grouping." That kind of undercount could bring the credibility of the 2020 Census into question, along with the redistricting and the elections that follow from it.